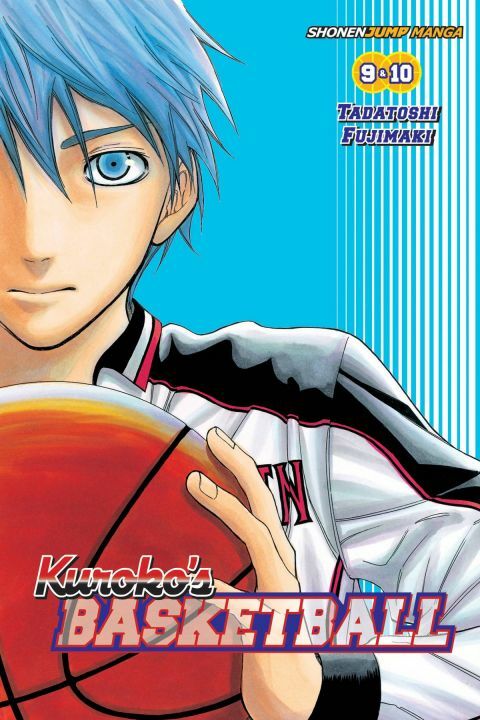 Seirin High's greatest basketball superstar was the one no one literally saw coming--the invisible Kuroko! When incoming first-year student Taiga Kagami joins the Seirin High basketball team, he meets Tetsuya Kuroko, a mysterious boy who's plain beyond words. But Kagami's in for the shock of his life when he learns that the practically invisible Kuroko was once a member of "the Miracle Generation"--the undefeated, legendary team--and he wants Kagami's help taking down each of his old teammates! It's the Inter-High quarterfinals! Kaijo's Kise is challenging To-Oh's Aomine, and he's finally managed to copy Aomine's playing style. And with four fouls already, Aomine's not looking so hot. Meanwhile, the Winter Cup qualifiers are coming up soon! The top schools from the Inter-High qualifiers are vying for the final spots, and with a revived Kiyoshi on their side, Seirin is like a whole new team!